Baby will be as beautiful as a butterfly in this lovely striped sleepsuit. 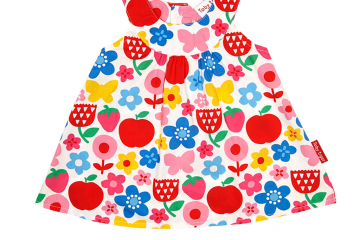 Our applique baby rompers feature a whole host of friendly faces… and they’re 100% organic too! 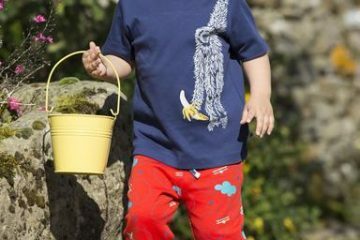 For all the little ones who love spending time in the garden, this applique butterfly baby boy sleepsuits is sure to be a treat. Our big and bold applique butterfly perks up one of our purple stripy rompers with her green and pink wings, and the pink trims finish it off nicely. Made from 100% GOTS certified organic cotton: soft, quality and good for the environment! Features an easy-on envelope neckline and popper leg fastenings to make changing easy. Suitable for babies from 0 – 12 months.